Lady Gaga took the stage to perform her stunning rendition of Elton John's 'Your Song' at the 2018 GRAMMY Salute tribute in a room full of music superstars. 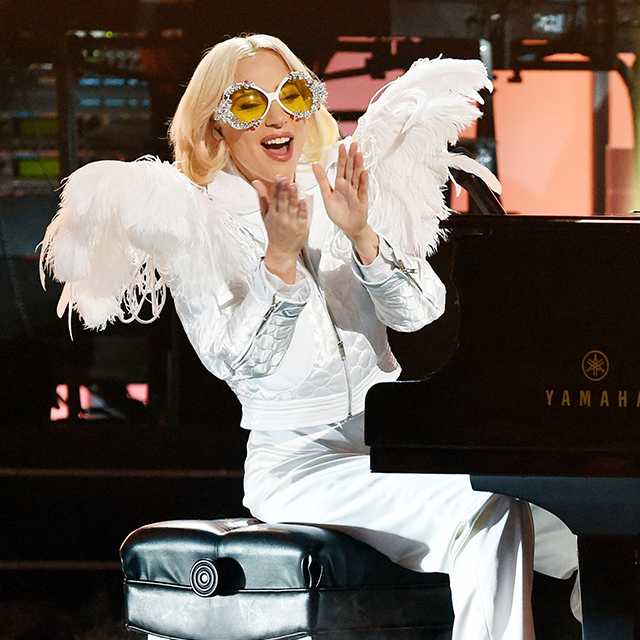 Wearing an oversized pair of Elton-esque glasses and a feathered white jacket, Mother Monster sang the legendary musician's hit song. The special show included various performances including Ed Sheeran, Miley Cyrus, Coldplay, Alessia Cara, Florence + The Machine, The Killers, Sam Smith and more. Watch the full performance below and click here to purchase Revamp: The Songs Of Elton John & Bernie Taupin available on Amazon and iTunes.